GKFX Financial Services Ltd was formerly called Smart Live Financial Services Ltd. The company was established in 2010 and specializes in providing an online trading platform with varying spreads and trading services. Users can trade commodities, CFDs, spot forex, etc. GKFX is regulated in the UK by the Financial Conduct Authority (FCA), and in Germany by Bafin. GKFX is unique in the sense that its services cannot be compared to other competitors owing to the options it provides to traders. Despite being a relatively young brokerage, it has still managed to compete and remain on the top. One of the unique aspects of GKFX’s service is that they are the only broker that supports MetaTrader 4 (MT4) for spread betting. All other brokers while having MT4 support it’s only limited to CFDs and spot forex. Is GKFX a reliable company or just another elaborate scam? Many big players in the forex trading industry prefer to signup with big-name brokers with established brand names mainly for peace of mind. Knowing that your broker is established helps foster a sense of peace and security because each is regulated by an agency in at least the countries of their origin. Though the trade-off with using a prominent name broker with an established brand name is that you’ll never get personalized service. It is the personalization of service where smaller yet also equally established brokers like GKFX tend to outshine big-name competitors. Originally founded back in 2010 as Smart Live Financial Services Ltd. GKFX is a relatively new business though they have managed to establish some incredible credibility compared to brokers who have been around for over a decade. GKFX is one of the fewer small brokers who has been able to provide their traders with the very same peace and security that big-name brokers offer. GKFX is not surprisingly regulated by just one regulatory authority but five in three different countries, i.e., the UK’s FCA, Japan’s JFSA, Hong Kong’s SFC, Germany’s BaFIN and Australia’s ASIC. Now in addition to being regulated in several countries, it provides excellent support to traders. So, everyone using the service knows that their problems will be addressed. GKFX is headquartered in London, UK, and employs over 400 people. Additionally, the company has offices in 25 other locations across the world. They cover Cairo, Beijing, Frankfurt, Dubai, Amsterdam, Hong Kong, Bucharest, Madrid, Istambul, Milan, Johannesburg, Moscow, Madrid, Prague, Santiago, Paris, Manila, Lima, Mexico City, Tokyo, Stockholm, Sydney, and Shanghai. GKFX’s website is available in 30 languages. If anything that makes it easier to access and use for traders who don’t natively read or understand English. When it comes to trading platform, GKFX boasts of providing traders with the immensely popular and robust MT4 or MetaTrader 4 trading platform. Keeping in mind their clients’ trading needs, especially those with more experience the company has teamed up with MYFX. The partnership with MYFX brings the MYFX trading console to power users so that they can get more out of the MT4 platform. We concluded from our observation of the company and traders that used the service is that they are reliable. They are credible and tend to keep their integrity intact with their philosophy of offering a customized experience. As professional traders ourselves we know that big is not necessarily big, something that GKFX can prove. GKFX stands by the MT4 trading platform like many other brokers owing to its popularity. The platform is very robust and intuitive making it one of the best for those who want to trade spot forex. Furthermore, GKFX provides traders with an assortment of apps for various mobile devices like tablet computers and smartphones. So, traders can use the platform to trade while on the go easily. Those who are searching for more exclusive options can add the premium MYFX console to the MT4 platform via a subscription fee. By combining the MYFX console traders can further enhance their trading experience owing to greater control over their trading activity. Anyone who wants to try out GKFX’s services can signup for a demo account. The demo account gives traders access to the full suite of services. Using the demo account traders can trade in real time by using virtual currency, so they don’t end up risking their money. But also don’t make money either. When it comes to payable spreads that really depends on the type of account you have. The fixed spread for each trader is set at 2.5 pips for the Swap Free Account. 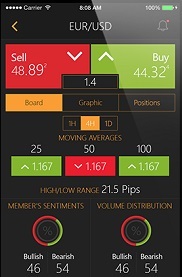 Using the micro account traders can set the minimum spread at just 1.5 pips. The min spread rate is set at 1.2 for traders who are using the standard account. VIP account holders benefit from the lowest rate starting at just 0.6 pips. GKFX’s website is accessible to traders in 30 languages, the same goes for their customer service. Traders can also contact the team via live chat, over the phone or via live email. GKFX is a surprisingly young broker that’s doing a great job in the industry. The company relies on a long list of staunch clients who have helped build the business’ reputation. GKFX offers traders many facilities beyond just their standard set of tools. New traders are far better off with opening a trading account with GKFX especially owing to the variety of options that each package offers. The sheer variety is something that’s unique to GKFX when compared to big name brokers in the industry. 7 Binary Options review: GKFX: 4 stars.